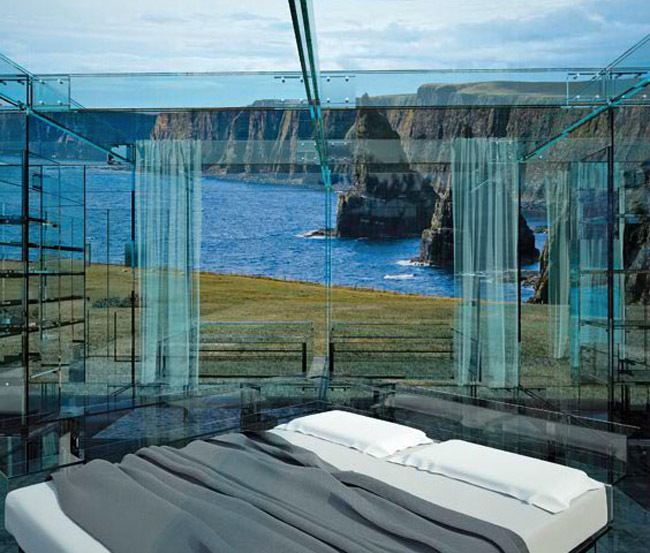 Sometimes, beautiful views of your surroundings simply trump the need for privacy. Living in a bubble isn’t so bad when you’re in a remote location gazing at the sea or the forest, but some people take it one step further, living in almost entirely transparent spaces even in busy urban locations. 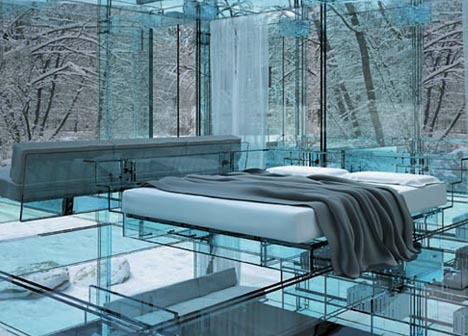 If you’re living in a secluded forest, does it matter whether the walls of your home are entirely transparent? 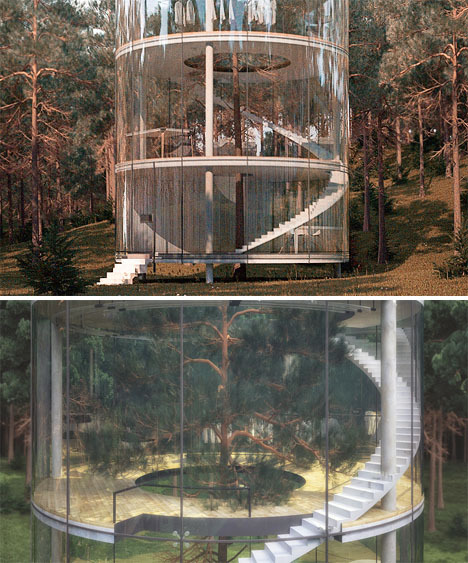 Perhaps you wouldn’t mind if you lived inside ‘Tree in the House,’ a four-story modern treehouse encapsulating a beautiful tree. A white spiral staircase winds around the tree, taking you from one room to the next. The term ‘floating house’ would typically indicate a house boat or other structure on the water, but in this case, it’s all about the visuals. 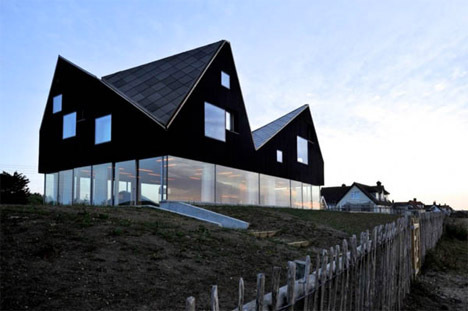 Designed by Jarmund/Vigsnaes Arkitekter, this home features a gabled black upper floor on top of an entirely transparent lower floor so that from a distance, the home appears to be levitating. 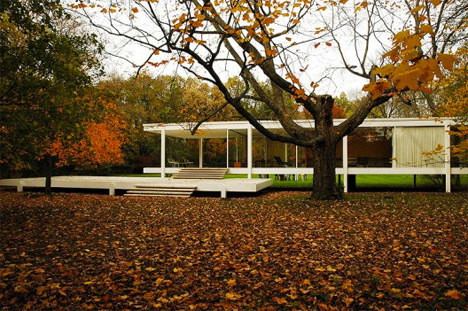 The classic Farnsworth House is one of the most well-known works by architect Mies van der Rohe. 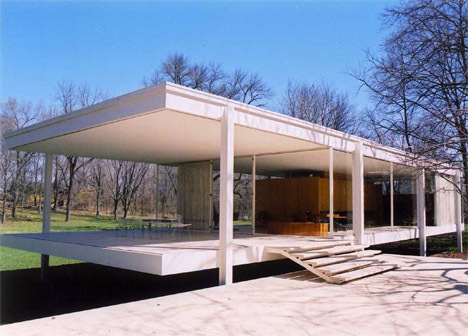 Built for Dr. Edith Farnsworth between 1945 and 1951 in Plano, Illinois, the glass home is located on a secluded 10-acre site. The design seeks to unite the occupants with the natural world just outside, using the adjacent trees for shading and privacy. 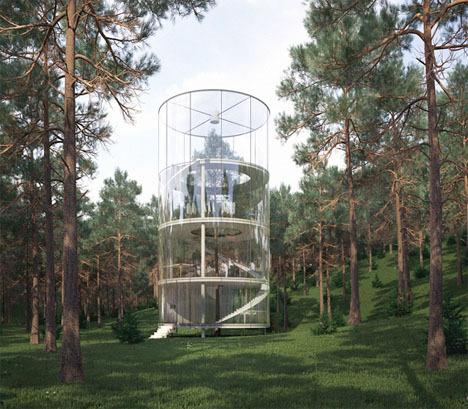 These two entirely see-through houses redefine what it means to put your life on display. Italian architecture firm Santambrogio sought the clearest glass to maintain transparency even through a series of walls, built-in shelves and staircases. 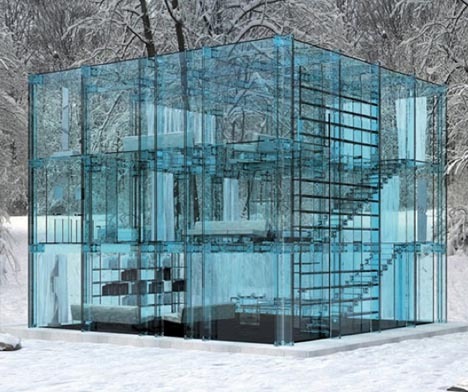 ‘Snow House,’ the three-story structure pictured, is one of a series of glass houses created by the firm, and this one has glass thick enough to withstand heavy loads of snow. Special glass panels instantly turn matte for privacy at the touch of a button. 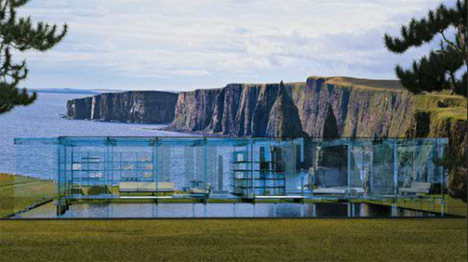 The single-story version, ‘Cliff House,’ uses thinner, lighter glass elements. 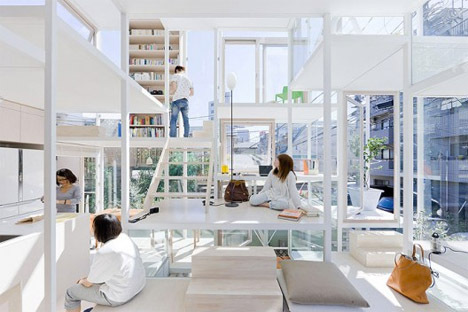 Rather than trying to cut individual inhabitants off from their neighbors, as is typical in densely populated settings, Japanese architect Sou Fujimoto decided to create a home that would unite them. 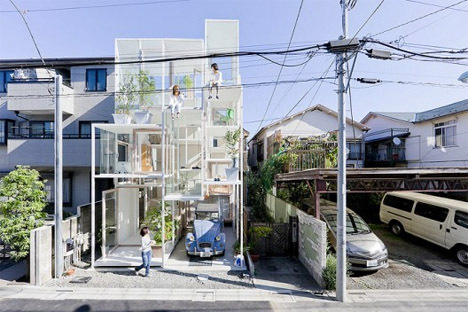 House NA has an almost entirely transparent street-front facade, and instead of enclosed rooms, the interior is filled with small platforms at various heights for free movement and clear lines of sight.